When Martha asked me to do this blog switch, and to describe my social media experience, I was flattered and excited. To have such a tech maven ask me, a relative luddite, to post here at the Studio was quite an invitation! I hope the readers of the Studio find this informative and hopefully at least a little bit entertaining. I basically got into social media a couple of years ago on a whim. I heard about LinkedIn and various other tools to get my name out there. I posted profiles at JDSupra, and other business “networking” sites and didn’t see much return, or even communication. I had a Twitter account (@constructionlaw) and was occasionally posting but found no followers until, at the urging of @copelandcasati (aka @greenmodernkits) I just started talking. I quickly found several folks to follow and things just took off. I really had no idea what I was doing and, frankly, decided that a blog would be fun so I experimented with Tumblr and Posterous (the Posterous account is still active), and finally landed at Blogger. After about 6 months there, I decided to join the WordPress brigade and thus was born the present incarnation of Construction Law Musings. Too many people have helped (and continue to help) me along the way for me to thank here, but you know who you are. Once I got Musings up and running, the rest, as they say, is history. For some reason, there are people out there who like to read about construction law and, despite some initial frustration, I kept plugging along and posting what I hoped was good content. The real breakthrough came when I read about guest posts. The idea sounded great, so I started Guest Post Fridays. For one, I didn’t have to write something (always good for the readers!) and secondly, and most importantly, I get other perspectives on construction, social media, and business that I feel both help the readers connect with Musings and gain some insight into construction marketing and other non-legal issues. I can’t thank those who contribute every week enough and hope that they got a marketing boost and had as much fun posting at Musings as I do. The advantages of all of this Web 2.0 stuff? I have met some great folks that I never would have known without it and formed some real life relationships that I never would have had (including with Martha). Also, the viral nature of the internet allows me to get information out to numerous sources using Musings, Posterous and other tools (such as Twitterfeed and Friendfeed) to get my message and thoughts across in an efficient manner. Coupled with real life, handshake, non-web marketing, I have grown my practice a lot in the last year or two and attribute much of this success to my social media efforts. Most of all though, I found that this is fun! For this reason alone, I recommend social media as an add on to any legal practice (or other professional practice). Just dive in. I had no clue how to do this “properly,” but have learned that no one way works for everyone. Do what feels right and your personality will come through. Blogging and other social media allow a less formal style and a way to show your true colors in a way that your static web bio (or a court pleading for that matter) does not. Try out different tools. I have no idea how many I’ve tried, bookmarked, installed and uninstalled, or just plain forgotten about. Use whatever you feel lets others know who you are in a professional manner. For instance, Martha and I occasionally get on a binge of last.fm music sharing. On the other hand, you will not likely find out what I’m having for dinner tonight from my twitter stream while others I follow regularly make such tweets interesting. Figure out what works for you, whether it’s LinkedIn, Facebook, Google Reader sharing, or a desktop tool like Tweetdeck or IPhone app (check with the Advocate for some great ones) that allows you to connect on the go. Most of all, start. Fumble around. Make mistakes (lord knows I did! ), don’t quit and have fun. Don’t get frustrated or worry about SEO and all of the other things that you’ll hear out there about the “right” way to do this. Frankly, you’ll learn more from the errors than from any blogger out there (though there are many that have helpful tips). The best advice I can give you (and take it for what it’s worth) is to write what you care about, engage others (whether through guest posts, comments, Twitter or even, yes, the telephone), and show your personality. If you do all of this the frustration will ebb and the interest level of your audience will grow. Do I have a metric of time to dollars? Not that I could figure out. I do know that I have gotten more out of state inquiries after the dawn of Musings than before. Between this and the relationships, I can say this has been more than worth it. So jump right in and join all of us tweeps, bloggers and other professionals in the social media pool, we’d love to hear from you and promise not to bite. Christopher G. Hill, LEED AP, is a construction lawyer in Richmond, VA and has been elected to the Virginia Legal Elite in Construction Law in each of the last three years. 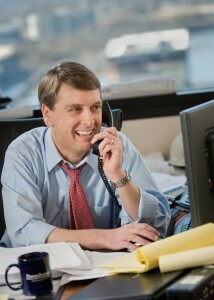 You can reach him on Twitter (@constructionlaw) or contact him through his Construction Law Musings blog. Thanks for the great opportunity Martha! Nice job Chris! 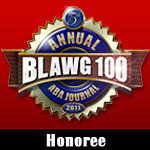 It’s helpful to the profession to have attorneys write about their experiences in Social Media. I enjoyed reading how you entered this wonderful world of Social Media, and love your point about just doing it, fumbling around a bit, finding your voice and your style, and letting it build from there. One can’t know what it’s going to feel like before actually diving in and getting their feet wet. I, for one, am happy to have met you through Social Media, and also loved that we took it to the next networking level and talked on the phone as well! Thanks Nancy, feel free to call any time. I appreciate your help along the way. Chris — thanks for the terrific post. As one of your followers on Twitter, I’m glad you put yourself out there. And I can’t think of any better way to put it than the way you have: “Fumble around. Make mistakes (lord knows I did! ), don’t quit and have fun.” The people I’ve “met” and the opportunities I’ve had as a result of being “out there” have amazed me. Love this post, esp that you included, even featured blogging as part of your social media experience. Though perhaps not for everyone, it’s certainly the home base for entrepreneurs. Thanks again for letting me post this Martha!